The only butchery courses in the Southeast. And the only one in the country taught by professional butchers. Our expertise is unmatched and we would like to share it with you. Ever wanted to know how to cut and prepare your own meat? Want to take your culinary skills to the next level by getting a deeper understanding of meats and the different cuts? Want to "up" your sausage making skills or smoking skills? Want to know how to save money by doing it your self? Curious about what is going on behind the counter? 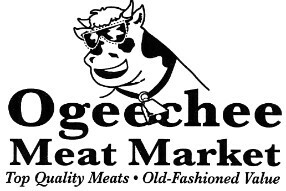 If any of these questions appeal to you then your in luck with The Ogeechee Master Butcher Classes. We are offering classes that can take you on a journey into the world of meat. It is a hands on experience for all levels, whether you are a youth interested in cooking or are looking to gain money saving expertise. We are the only meat cutting class in America that emphasize Hands on learning. Classes are offered for the big three: Poultry, Pork and Beef. And the best thing is: You can keep the Meat! A class whose homework is to eat your project is guaranteed to please anybody. There are 5 different levels available to choose from that are open to all ages. Any class can be catered to the needs and desires of students. Please contact us for more info. One on one instruction with a highly trained professional meat cutting experts. 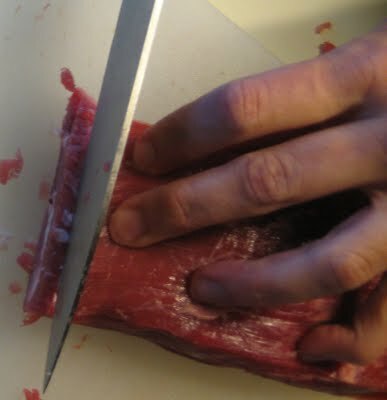 Hands on cutting of meat. Safety, Equipment, Proper cutting techniques, Animal anatomy, Cuts and trimming, Meat Grading, Storage and saving, and more. Learn basic knowledge of cuts and cutting techniques. Ability to recognize cuts and be able to do basic cuts at home. Q & A about the meat and grocery industry. Our beginers class on making sausage. For anyone wanting to begin making their own sausages at home and learn from the experts and award winning instructors. Lesson on USDA grading and USDA cooking temperatures. Lesson on equipment used in sausage making and safety. Lesson on appropriate home equipment for sausage making and cooking. Lesson on meat prep and seasoning for sausage making. Lesson on the basics of sausage seasoning for the variety of meats: beef, pork, poultry, venison. Sausage making with industry machines which will be transferable to home machines. Lesson on sausage smoking and curing. *Students take home a notebook with information they learned with charts, diagrams, and other useful information. Students also get secret recipes for several great sausages. Students also take home sampling of some of the sausage they made. Smoking lessons and actual smoking sausages. *Students take home a notebook with information they learned with charts, diagrams, and other useful information. 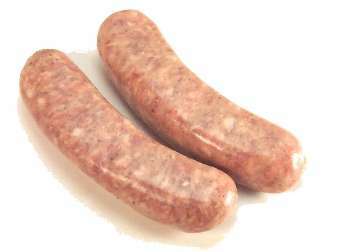 Students also get secrete recipes for several great sausages. Students also take home a sampling of the sausage they made. Grading and cuts that are preferred for smoking. Students get a notebook of the information they learned and a bottle of our Ogeechee Dust rub. Students will cover all of this and more. Q and A available throughout the class as well as sampling briskets cooked at our facility. Students go home with a notebook of all the information we covered that has recipes and tips for smoking. Lesson on animal anatomy and break down of cuts and where they come from on the animal. Also quick explanation of slaughter houses and their processes. USDA Meat Grading and proper USDA cooking temperatures. Lesson on equipment typically used in meat cutting and a safety breakdown. Cutting. 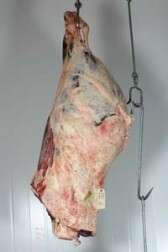 Selected pieces from the cow, pig and chicken will be presented to students and instruction of cutting will be given. Students will cut with instructor helping them with process. Packaging. Instruction on proper packaging and storage will be instructed as students pack their own products. Included in lessons are interjections on proper cooking and handling information. *Students go home with notebook of information they learned which will include charts, diagrams and other useful information. Cutting. Class will break down a quarter of a cow, and chickens will be presented to students. Instruction on cutting and proper breaking down procedures will be given. Students will cut items they will be able to keep with instructor helping them with process. Sausage making. Quick run through of proper sausage making technique. And Students will be able to make and keep their own sausage. Lessons on proper cooking and handling information. *Students also take home notebook full of the information they learned which will include charts, diagrams and other useful information. Students also take home the same top quality flex boning knife the same quality used by the instructors. Cost: $850**** Special NOW only $599 per person!! Cutting. Students will be hands on as an instructor properly shows them how to break down a whole hog. Sausage making. Run through of proper sausage making technique. And Students will be able to make and keep their own sausages. Hands on sausage making! . Packaging. Instruction on proper packaging and storage will be instructed as students pack their own products. Students will vacuum pack and mark all the meat so it is ready for their home. Lessons on proper cooking and handling as well as carving. As well as smoking instructions and which cuts are good for which cooking method. *Students keep $50 worth of the meat they cut and get the note book full of information. The notebook includes diagrams, charts, and other useful information. Poultry lesson will be added at no charge! As well as a top quality 6 inch boning knife. Class size limited to 4. Looking to open your own Shop? Purchasing an existing butcher shop and want a crash course of industry's best practices and cutting? are you looking to train your employees in the art of butchery? Own a processing company and want to get a better understanding for the final stages of farm to plate? *some consulting classes are not available to butchers/butcher shops within a 150 mile radius. Everyone who takes a consulting class must sign a "No competition clause/ Disclosure clause" to preserve our industry secretes, secrete recipes and our unique ways of being awesome. Case by case basis is available and we reserve the right to deny anyone from being able to take any of our classes for any reason including, but no limited to, your location being in competition with our location or future locations. -Over 50 years experience in the meat and grocery field. -trained over 100 butchers to work in the field. -worked for major chain markets. -one of the last in the field to hold the now un-required mandatory certifications to be a butcher. -has a vast knowledge of cuts and where they come from. -Bachelor's of Science Biology Degree from AASU. 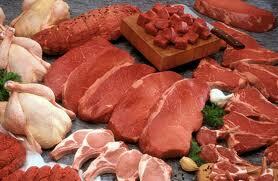 -18 years experience in cutting, processing, and selling meat products. 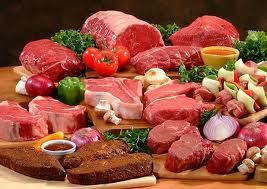 Has a vast knowledge of the retail and whole sale meat community. -eager to teach and help people understand retail meat better. -has vast knowledge of sausage making and smoking processes.